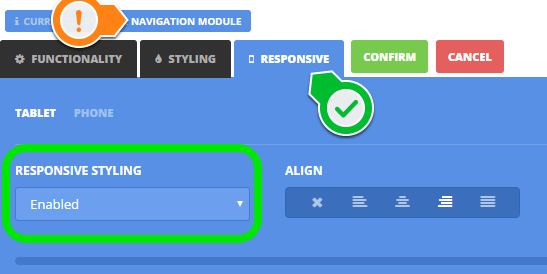 Is the Navigation module adapted for mobile devices? The usual “hamburger” navigation that’s used for mobile devices is available in the navigation module. Just enable it in the “Responsive” tab.